Daniel Bellinohttp://thedannyreportdotcom.wordpress.comHello All ! I'm Daniel Bellino "Z" Best Selling Italian Cookbook Author and Publisher of Positano The Amalfi Coast ... I have traveled the World extensively and have been going to: Napoli, Capri, Positano, and The Amalfi Coast of Italy Since 1985 ... 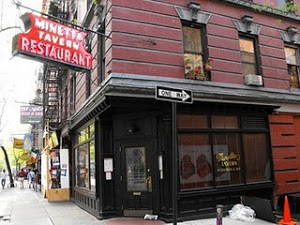 I live and write in New York's Greenwich Village. 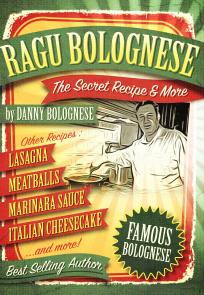 I am the Best Selling author of such Books as : SUNDAY SAUCE , The RAGU BOLOGNESE COOKOOK, The FEAST of The 7 FISH, and the soon to be released POSITANO - Capri The Amalfi Coast , a book that tells stories of Napoli, Capri and Psoitano, and is part Cookbook of Regional Dishes of the area, as well as being a Guide Book of this region of Italy. I have been a Restaurant and Wine Professional for more than 30 Years, and I Created America's 1st Ever Venetian Wine Bar (Bacaro) in 1997, in Bar Cichetti, where I was the Head Chef / Wine Director and Managing Partner. Best Spaghetti Clam Sauce Ever !!! This PIZZA was AMAZING !!! The Pizza looked so good at Da MARINO, that although I hadn’t planned on having one, after eating Insalta Frutta di Mare and the Best Plate of SPAGHETTI VONGOLE Ever. I couldn’t resist a Pizza, so I ordered one, thinking I would just eat half of it. Not !!! It was so good, I can’t beleive I ate the whole thing, but I did. The Make The BEST ARANCINI Ever !!! I picked this tasty lunch att my favorite Salumeria, Salumeria Capri, to take to my day on the Beach at Da LUIGI BEACH CLUB on Capri at The FARAGLIONI ROCKS. It was a great day of swimming and my perfect Beach Lunch made my SALUMERIA CAPRI. Loved It. Yes Louis Prima and Pizza at Avelino Pizza at Macari Vineyards in Mattituk New York n The North Fork of Long Island .. 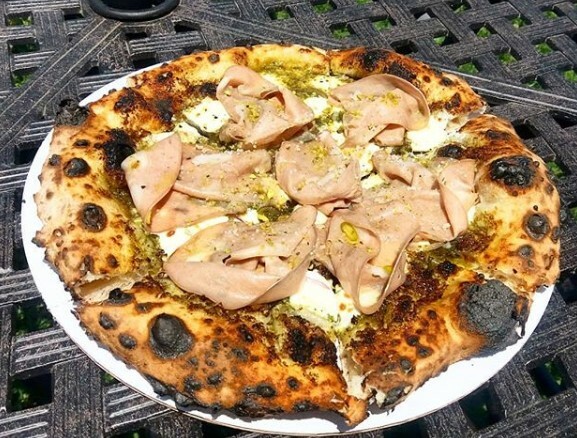 If you make a visit to Macari Vineyards (NY WInery of The Year 2014), you can get some authentic Neapolitan Pizza by Edward Macari on his Pizza Truck Avelino Pizza at Macari Vineyards. That’s a Winning Combination ; Relaxing at a table next to the vineyard, sipping on a bottle of tasty award winning wine as you bite into one of Eddie Macari;s masterful Pizzas and listen to a great selection of music from Louis Prima, Dean Martin, The Rolling Stones, and Sophia Loren singing “YOU WANT To BE AMERICANO” from the motion picture “It Started in Naples” starring CLARK GABLE and SOPHIA LOREN. We recenting hit Macari Vineyards when delighted in drinking a bottle of Macari CAB FRANC, eating a MORTADELLA PISATCHIO PIZZA as we listened to SOPHIA LOREN singing the Whiskey & Soda “I Want to Be Americano” song. We were in “7th HEAVEN” when our EDDIE SPECIAL PIE (Pepperoni & Sausage) arrive at our table. This was our day at Macari Vineyards. Can’t wait to go back real son.